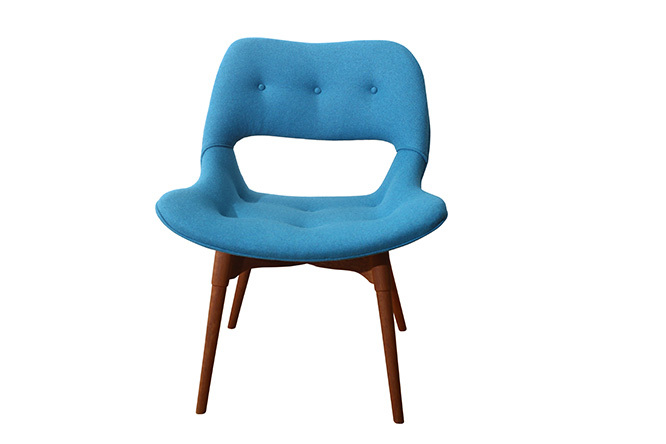 #Thetelevision #B210H #chair, #1953 from the #Featherston Chairs. Part of the famous #contour #range. This range was made from plywood, fibre, horsehair, wadding, rubber, hardwood, upholstery fabric. Featherston abandoned his relaxation range about 1950 and embarked on his now famous #contour #range. This chair was #designed in #1953 an array of new #organic #shapes was launched at a memorable exhibition at the Hotel Federal, Melbourne where a gratifying cross-section of architects, sculptors, journalists, buyers and a public interested in #good #design witnessed the spectacle of a Melbourne Socialite lowered into a wet-plaster-covered chair to demonstrate the principle of #”contour comfort”.